Janelle Jones is known as the “Queen of Side Hustles”. She has inspired many people to improve their lives and earn extra income while they are also working full time. She shows them that by doing what they love they can create a “side hustle” and earn extra income. She believes that this is the best way to eliminate debt, pay for vacations, and enroll their children in the best private schools. She also considers doing a side hustle as an alternative to the traditional 9 to 5 lifestyle which most people do daily. 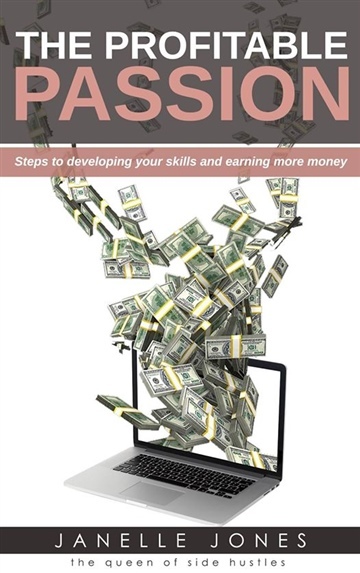 That is why she offers a book which she calls a “The Profitable Passion” that serves as a guide to making profits based on what you are passionate about.As she always likes to say “Take a step out on faith and you can accomplish the unthinkable! The only thing stopping you from reaching your goals is for you to take that JUMP!”, she emphasizes that anything is possible if you just take a chance. She has proven it herself by doing different side hustles that really worked and even made her decide to leave the corporate world and become a highly successful freelance professional that she is today!